If you are acting as a caregiver to a senior family member or loved one, then there are a number of things that you can do in order to make sure your loved one stays happy and healthy while they are under your care. One of the many things that you can do in order to create the best environment possible for these individuals is to help them establish a structured routine. Creating a pre-bed routine such as reading, taking a bath or other relaxing activities can actually help seniors fall asleep faster and stay awake longer, it is one of the best ways to help improve your loved one’s overall quality of sleep. Keep your loved one on a strict schedule when it comes to eating, bathing, sleeping and waking up every day. It will not only help with their sleep at night, but if your loved one has dementia, it can help limit the prevalence of sundowning. Having a structured routine can prevent confusion in seniors and it can help them feel more safe and secure while living at home, in a loved one’s home or an in an assisted living community. Predictability is a great thing when it comes to seniors who have dementia or who may be at risk for dementia as their bodies can actually develop and unconscious sense of what is coming next—meaning less stress and confusion. 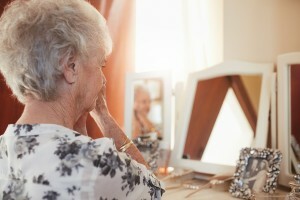 Routines have been shown to lower the chances of anxiety, stress, disorientation and behavioral issues in seniors. Keep things in the same place in the home, it is actually part of maintaining and keeping a routine. If you normally keep the toilet paper on a certain shelf, don’t move it. It will help your loved one to keep things familiar. If you are currently caring for a senior parent or loved one, consider implementing a more structured routine into their day-to-day lives. You may be surprised to find just how much it can help improve their overall quality of life. When it comes to actually creating a routine for your loved one, keep big activities such as waking up, going to bed, eating and exercising at the same time every day. These should be anchors of sort for the best of their routine. If there are certain things that have always been a part of your loved one’s routine, such as getting up at 7:00 AM or having a glass of milk right before bed, try to keep that part of their routine, it will only help them in the end.